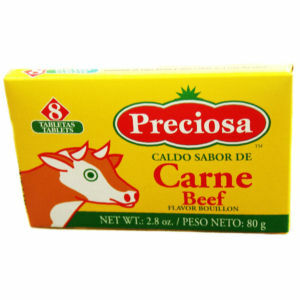 Preciosa beef flavor bouillon is an excellent kitchen companion. Use for preparing soups, meat seasoning, stews, and many dishes. A high quality beef seasoning that will bring special flavor to your meals. Be creative! Enjoy!